These are ticketed events; tickets are $17 per event and a ticket is required for admission and may be used on either or both days. Tickets may be purchased at the first winery that you visit. Just a reminder – YOU MUST BE 21 YEARS OR OLDER TO PURCHASE AND REDEEM TICKET. Our tasting room is positioned on top of a hill overlooking 2 acres of vineyards and 600+ acres of State Park land. We have a cozy log cabin feel inside, with two deck areas and plenty of grassy seating areas outside. While we have a full range from dry to sweet wines, we really specialize in the sweeter blends and fruit wines. Come visit and see why everyone is talking about us! Visit us to enjoy wine tasting, cheese plates, gourmet chocolates and coffee, and to shop our variety of gift items. 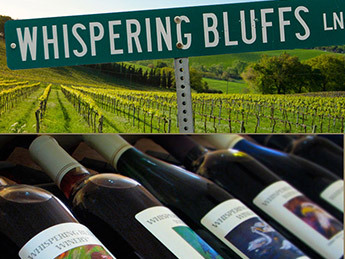 Visit our tasting room to experience unique wines made in a small winery in a scenic valley in Southwest Wisconsin. 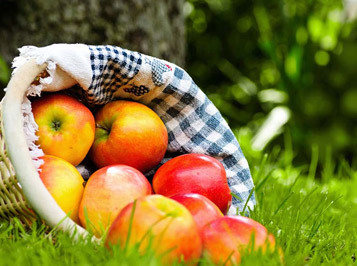 We are the home of the Ice Maiden, Ruby Lady, and many other grape wines plus Mead, Cranberry and other fruit wines. 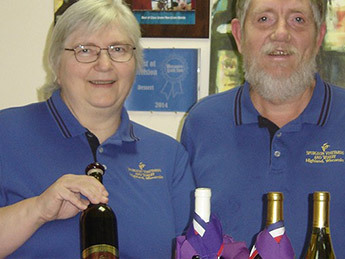 Crafting award-winning wines, we proudly offer both fruit and grape wines featuring Weggy Blue and Oak Ridge Red. Enjoy our wines from hill-top views! These five wineries share a passion for their craft – creating wine. They each have a story to tell. 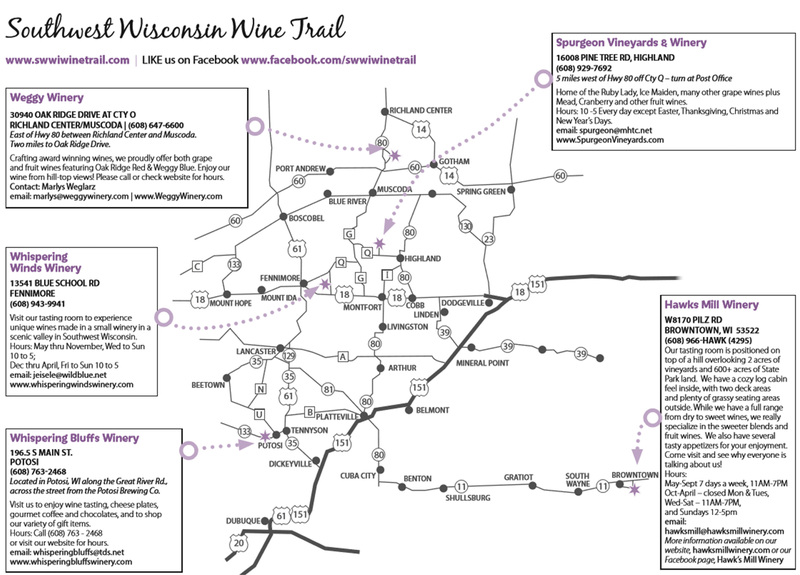 As you visit these wineries, you will find that there is a common thread to each story; that common thread is the challenge of making great wine from new and emerging grape varieties that are cold-hardy enough to withstand the weather of the Upper Midwest.